2. S&P trout and dredge with flour. Shake off extra flour. 3. Place trout into heated pan with oil and cook for 4 to 5 minutes on each side. 4. Meanwhile heat green beans in microwave for 2 minutes on High or until cooked. 5. Place beans on plate and place trout on top. 6. Using the same pan, add almonds to pan and lightly toast. 7. Add butter and Worcestershire sauce, heat sauce until foam starts. 8. Add lemon juice and parsley. 9. Pour over fish and spoon almonds on top. 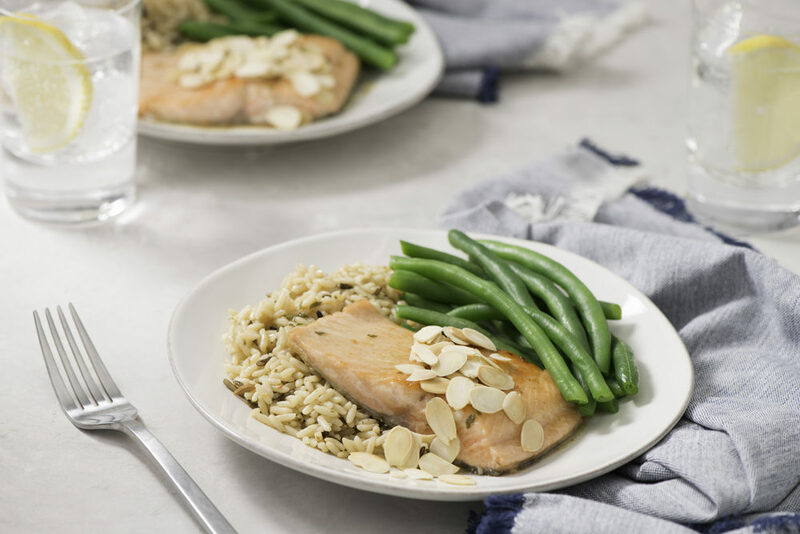 Trout and almonds make for the perfect pair in this Trout Almondine recipe. Ready in under 30 minutes, it’s a perfect meal for a busy weeknight.